I am linking up with Leigh Kramer for the very first What I’m Into post of 2015! I read 61 books in the year 2014 so this year I’ve set my sights high and set my goal at 60. Since we’ll be moving back to the US in the fall and I’ll have a few little things to do (like finding a job and a home and basically starting life over from scratch) I thought I’d be doing pretty good if I could match this year’s reading. If you count not-yet-published books (and I think we should) then I am on track so far. Kitchen Confidential: Adventures in the Culinary Underbelly by Anthony Bourdain. I love food books and I really enjoyed Bourdain’s TV series, Parts Unknown which combines food AND travel in a completely addicting way. I enjoyed this book, though Bourdain is pretty rough around the edges. I will say, it makes me never want to work in the restaurant industry and gave me some nightmares about what’s going on in the kitchen when I’m sitting at the table of my favorite restaurant, but it was entertaining and informative and I enjoyed reading it. Be warned that it’s a little crass and vulgar at times. Lizzy and Jane by Katherine Reay. I read some positive reviews of this book and actually read it because it was on sale for $1.99 and a book club on Goodreads picked it for their January book so I thought, why not? I was very underwhelmed. It’s got this very interesting set-up with the potential for a lot of emotional depth and tough and nuance. Lizzy and Jane are two sisters who have been estranged every since the death of their mother 15 years earlier. Lizzy, a chef in New York, comes home to Seattle for the first time in years to visit her sister who has just been diagnosed with the cancer that killed their mother. Unfortunately, the book itself falls very flat. The characters felt shallow and not well-developed for such a heavy plot. It’s not an awful book, there’s just nothing outstanding about it. The Last Anniversary by Liane Moriarty. I would seriously read the back of a cereal box if it was written by Moriarty. I think her writing is technically very good and her stories are always unique and interesting and the characters are that perfect mix of relate-able and eccentric. Sophie Honeywell is 39, unmarried, and starting to wonder if she’s missed her opportunity to have a family when she unexpectedly inherits a house from her ex-boyfriend’s Great Aunt Connie – the woman who discovered the Munro baby. This book revolves around the secret of the Munro baby – a (fictional) famous unsolved mystery where the Munro couple mysteriously disappeared from their home with the tea kettle whistling and a warm cake fresh from the oven leaving their 2 week old baby behind. The story takes place far in the future and is centered on the family who raised the baby (now a grandmother herself) and her children and grandchildren who run a family business that capitalizes on the unsolved mystery of the Munro baby. At this point I only have one Moriarty novel left to read and I almost don’t want to because I’ll be so sad when it’s over. Storm Front by Jim Butcher (The Dresden Files Book 1). The Dresden Files are the sort of books that most people either love or hate. They star Harry Dresden, a wizard who is also a private detective living in Chicago, and involve lots of paranormal activity and mystery solving. What’s not to love? I wold describe these books as a mixture of Neil Gaiman’s American Gods (with the modern myth and the fantastic woven into the ordinary) coupled with Buffy the Vampire Slayer (extremely campy until you fall in love with the characters and then the camp simply adds to the charm). If you can’t stand completely unrealistic campy books, this isn’t for you. If you can buy some of the ridiculousness in exchange for the entertainment of a detective wizard who battles vampires, demons, an the occasional gangster, you can’t go wrong with this. And the great thing is, this is an ongoing series that is already 14 books long! Love in Fast Cars (working title) by Briana Meade. I got to read this beautiful book in manuscript form – a first draft that my dear friend Briana has just submitted to her agent (!) and that will hopefully be published later this year. I am so incredibly proud of Briana and I think her book is wise and funny and tender and resonates deeply with me and I expect many of us millenials. This is a book about growing up as a millenial and that constantly shifting line between childhood and adulthood and how we reconcile a childhood faith that doesn’t seem to fit with our adult worlds. Be on the lookout for this book and in the meantime, follow Briana’s blog and show her some love! i, church by Brett “Fish” Anderson. I got the privilege to read another book this month that is not yet in-print, but will be self-published very soon (how amazing are my friends?!) Brett is passionate about the Church while being completely honest about some of the very real flaws with it. He writes with conviction and wisdom and what it could look like for the Church to change and grow into what it is intended to be. His book strikes that perfect middle ground between criticizing the Church’s faults and praising its virtues. I’m so proud of all the work Brett’s put into this book and am excited to see where it goes from here. I will let you all know when it is available to purchase, but in the meantime you can reads all kinds of good stuff over at Brett’s blog. If you are on Goodreads you can follow me to see what else I’m reading. Our internet (read: television) has not been working well this month and we’ve been traveling, so I’ve watched less TV than usual. I normally “watch” shows while I’m cooking, doing laundry, washing dishes, etc. so being on vacation cut out chore/tv time (not that I’m complaining!) I did manage to see a few episodes of Nashville, Parenthood, New Girl, Brooklyn Nine-Nine, the Mindy Project, and Parks and Recreation now that it’s back on. We also watched the first few episodes of Friends on Netflix, which Jonathan has never really watched (though I think I’ve seen every episode). We saw three movies in the past two months, but I don’t remember if it was December or January since I didn’t do a December What I’m Into post: The Hobbit (it was like watching the 20 minute final battle scene from a better movie stretched out for 2 hours), The Theory of Everything (cried buckets) and Into the Woods (I’d never seen it before so I can’t compare it to the play, but I liked it even though it’s a little weird). Mostly I’ve been eating out a ton since I’ve been traveling. But I did take a cooking class while in Chiang Mai, Thailand and learned to make cashew chicken, chicken in coconut milk, papaya salad, khao soi (a northern Thailand curry with egg noodles), and mango sticky rice. So delicious. Loved this post from my friend Meredith about putting up an empty frame and imagining what you’d like to fill it with. Really needed this recent post from Ann Voskamp about letting go of perfectionism and celebrating your life. My friend Ashleigh really inspired me with her words about how a wild and radical life doesn’t have to mean living in an exotic place. And I just loved this fantastic clip from Dax Shepard talking about Kristen Bell’s C-Section on Ellen. (I think Dax Shepard and Kristen Bell are my all-time favorite celebrity couple, btw. Her sloth video is still my favorite thing on the internet). I started the month by writing about my One Word for 2015: wholehearted and was touched by the many comments I received from readers who were inspired to choose their own One Word for the year. I was also honored to have that post featured on Freshly Pressed. I wrote here about how faith can be so slippery and tough to hold onto at times and here about friendship and social anxiety. I also just created a writer page on Facebook to help people who are interested in my writing and writing-related news keep up with me. If you are on Facebook, you can like my page to connect there. Since the beginning of the fall I’ve been experimenting with lots of Korean makeup because Korea is known for its fabulous cosmetic and skincare products. If you are in Korea or elsewhere in Asia you can probably find these. If not, you can order them online if you really want to try them. 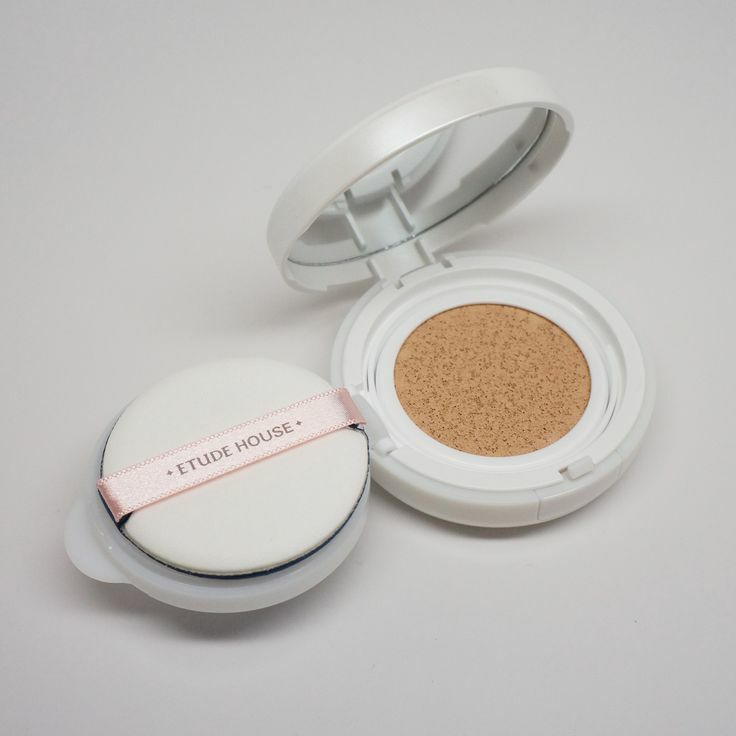 Etude House Precious Minerals Any Cushion BB cream – benefits of a BB cream (sun protection, anti-wrinkle, moisturizing, etc.) with pretty good coverage, applies flawlessly, and is not messy since the bb cream is in that sponge and you just press the sponge with the little to get the product out and basically stamp it on your face. So easy and it looks beautiful. Korea is where BB creams started and they are very different than western bb creams that are more like a tinted moisturizer. These BB creams have much higher coverage and work instead of a foundation. Aritaum honey melting tints. These smell and taste amazing and go on like a very pigmented lip balm (more pigmented than the Revlon Lip Butters below). Very moisturizing which is important for me because my lips are like a desert! Also, during our trip to Thailand/Singapore/Malaysia I had a chance to pick up a few Western products that aren’t easily available in Korea. 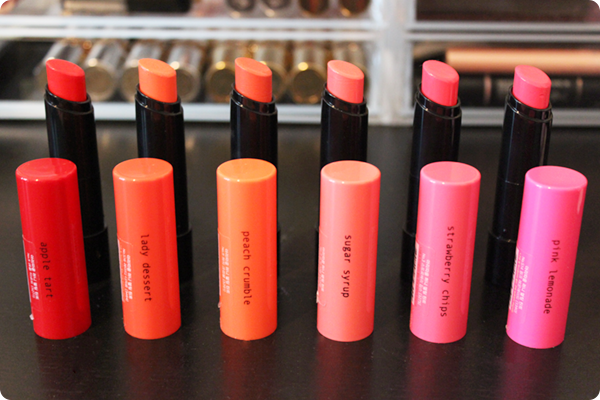 Some of my favorites have been the Nyx matte lip creams and butter glosses. The lip creams are like a liquid lipstick with a matte finish – they are so soft they feel like you have nothing on and stay put all day. And the lip butters are beautiful glosses with good pigmentation that go perfectly over the lip cream if you want a little shine or need some hydration. In the US they are very affordable – $6 for the creams and $5 for the butters – and I think you can buy them at Target. There is a huge color range – this is only half of them. I have #03 Tokyo, #04 London, and #08 Sao Paolo. 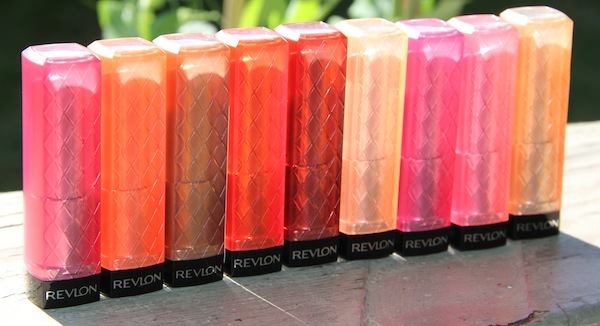 And these Revlon Colorburst Lip Butters which are like a very tinted lip balm – great for moisturizing your lips and you can wear them very lightly if you just want a little bit of color and nothing too dramatic. You can get these at Target or any drugstore. The darker colors are more pigmented than the light ones. My favorite one that I own is Lollipop. At the beginning of the month I finished up teaching winter English camps at school and then we spent 2.5 weeks traveling in Thailand, Singapore, and Malaysia which I’ve already told you all about. Other than that, we’ve started to get some news on the “What Comes Next” front regarding what we’ll be doing after our contracts end in August. I’m not going to announce anything until we’ve made an official decision, but I can say that it’s looking like we’ll definitely be back in the US, at least for a while. I also re-discovered instagram and have been trying to use it more in spite of my phone’s pitiful camera because I think it’s a fun way to document. You can find me there with the user name lilyellyn. Sorry this post got sooooo long, but thanks for sticking with me! Thats quite handful of things to do. Very good. I missed watching hobbit . hows the new release? Well, I didn’t like the way they split the hobbit into 3 movies – I didn’t think there was enough content to justify three whole movies – and I think this final movie was the one where you could really see that. It was like the whole movie was just the final battle scene from regular-length movie that usually lasts 20-30 minutes, but it got stretched out over two hours. Also, the CGI is just so noticeable it graphically looks more like a video game than a movie in my opinion. In the original Lord of the Rings movies they did so much of it without computers – orcs were actual people in elaborate makeup and costumes, etc. For the Hobbit movies they just computer generated everything which I didn’t like as much. Hmmm…Ok, have you seen Interstellar? (You probably have cause it was so popular when it came out). My husband just watched an action movie called John Wick that he said was fun. I have generally enjoyed all of the Marvel superhero movies (did you see Guardians of the Galaxy?) and as far as motivational goes, I thought The Theory of Everything (about Stephen Hawking) was really good and I have heard great things about The Imitation Game which is about Alan Turing who was a brilliant mathmetician and codebreaker for the Allies during WWII (though it’s a bit sad). Great. I will try watching all that. Marvel’s i think avengers was the one i saw . Well, this is funny… I found your post via Leigh Kramer, and then looked around your blog and realized I went to high school with your husband! He was a freshman (I think) when I was a senior, and we were in youth group together and had many of the same friends since Covenant/West Side is so small. Too funny! And then to make things more interesting, I met Addie, Leigh, and Karissa last February when I organized a reading of Addie’s book at the library/university where I work in Nashville. Not that I really know any of them but still. Some days I just love the internet. 🙂 And my apologies if this comment is creepy, I just thought it was so random that I happened upon your blog and figured out this connection!